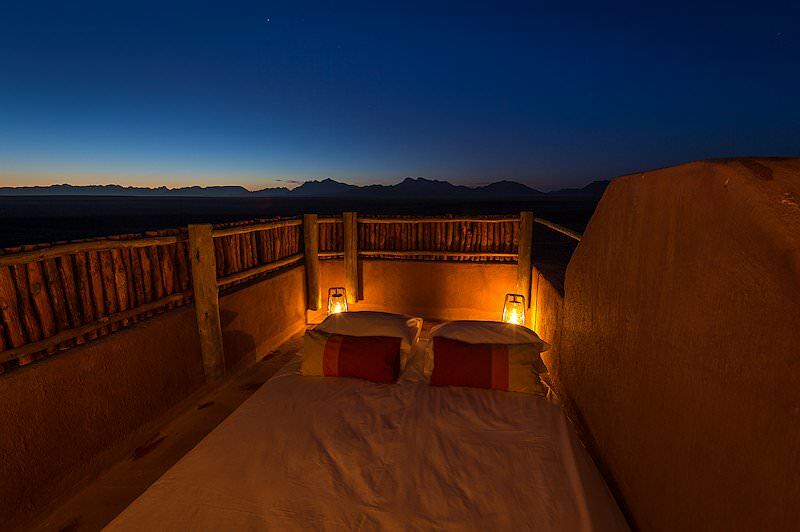 Kulala Desert Lodge is located on the edge of the towering dunes of Sossusvlei in Namibia. 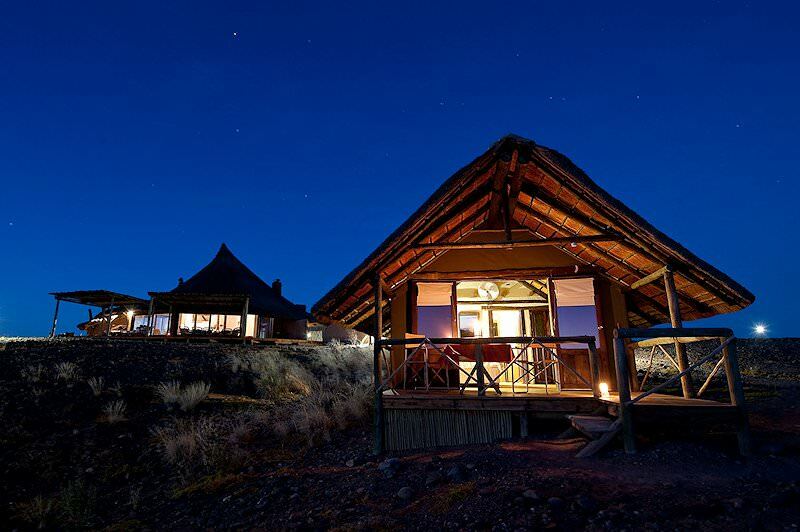 Located in the heart of the arid Namib Desert you will find Kulala Desert Lodge. 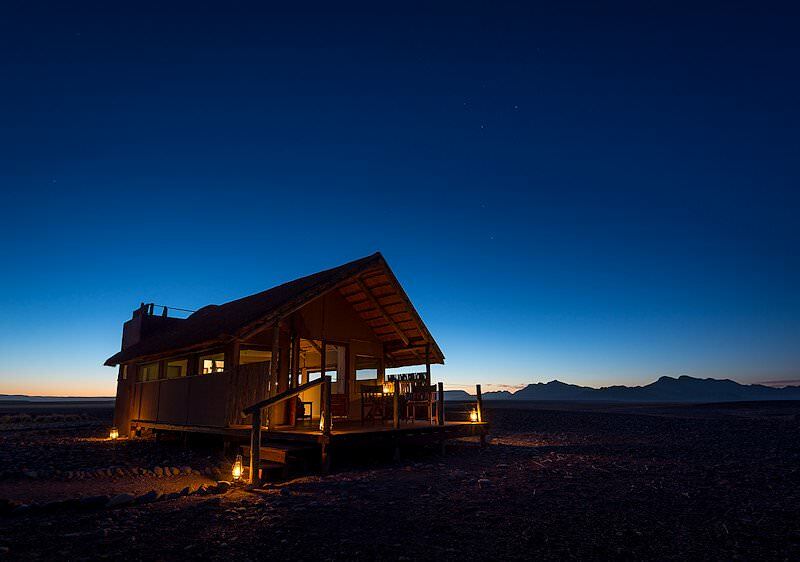 This lodge is conveniently close to the red dunes of Sossusvlei and it forms part of the Kulala Wilderness Reserve - one of the finest destinations for a safari in Namibia. 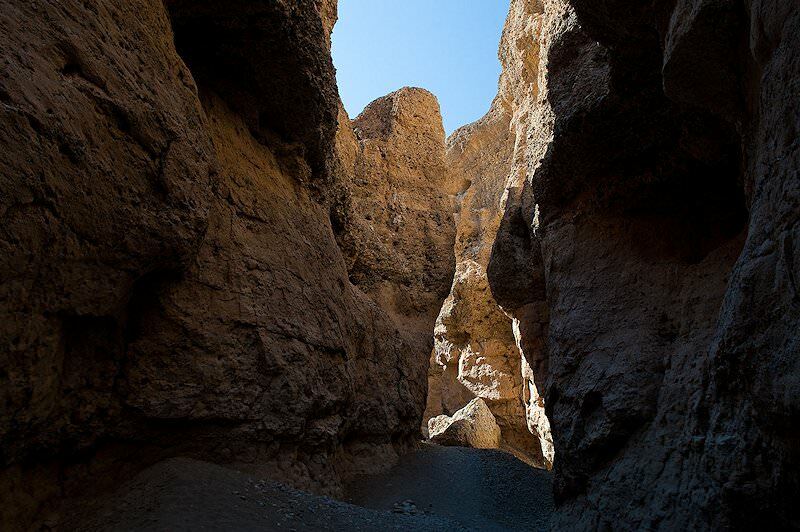 The reserve comprises 37 000 hectares of desert, committed to conserving this unique area of the world. Research projects on small carnivores like the bat-eared fox and brown hyena are done here. 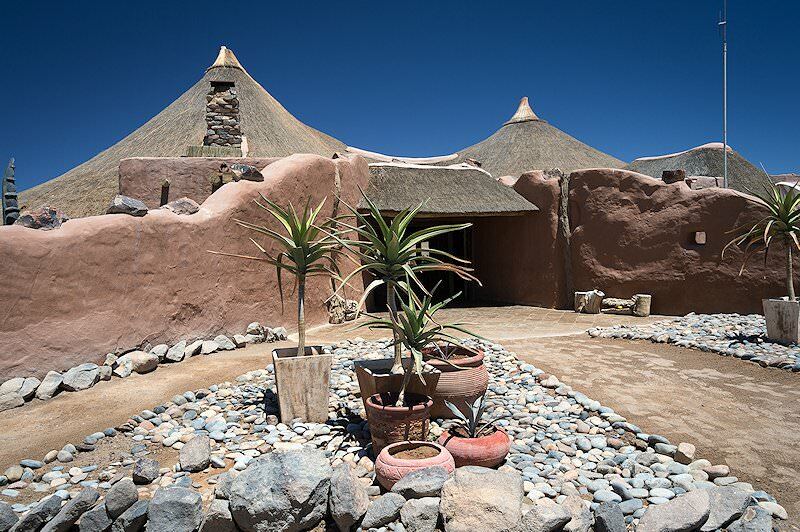 The buildings of Kulala Desert Lodge melt into the surrounds and become one with the environment without compromising style and comfort. There are 15 thatched “kulalas” built on wooden platforms, each with a private viewing deck. The air-conditioned rooms offer every modern amenity in tastefully decorated surroundings for a luxury African safari experience. The main area of the camp is decorated in true north African style. It consists of a comfortable lounge area, a bar and an elegant dining room. The lodge has a plunge pool set on a large veranda where guests can cool off on hot desert days. The veranda overlooks a waterhole. 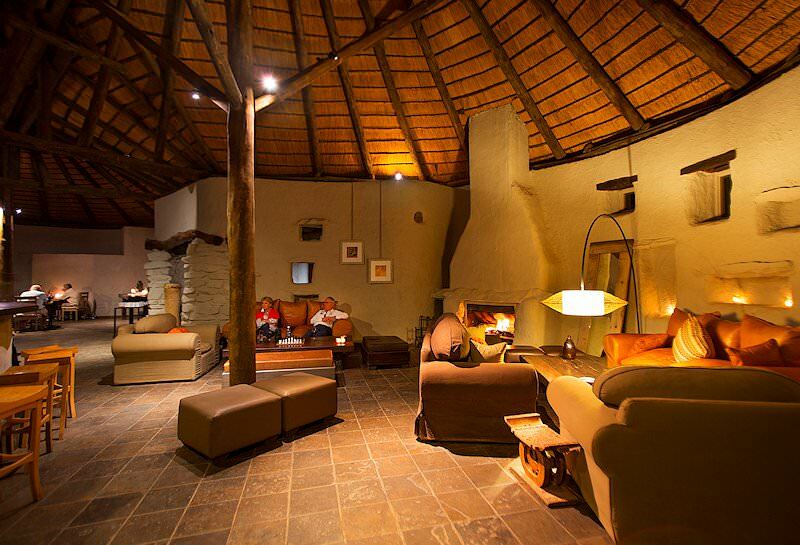 It is the perfect place at the lodge to view indigenous wildlife while relaxing with a good book. The lodge offers early morning nature drives accompanied by a professional guide. 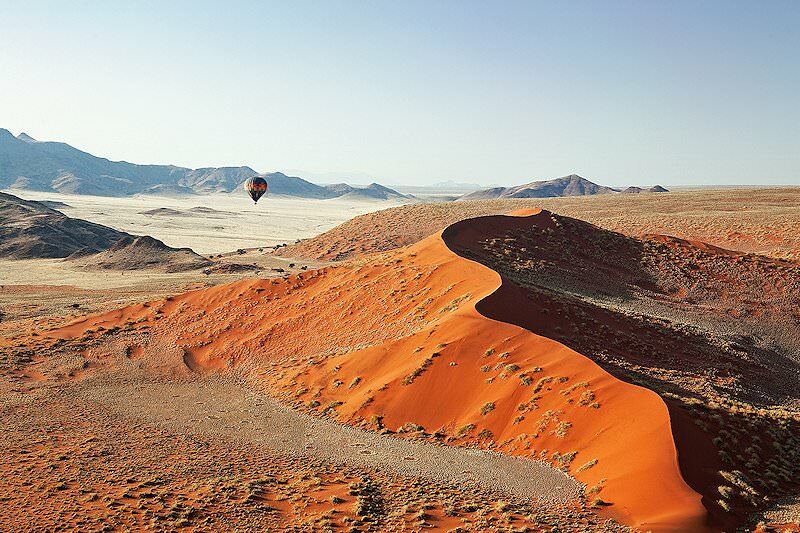 View the stunning red dunes of Sossusvlei, explore Sesriem Canyon and visit Deadvlei. The afternoons are devoted to nature activities on the reserve. 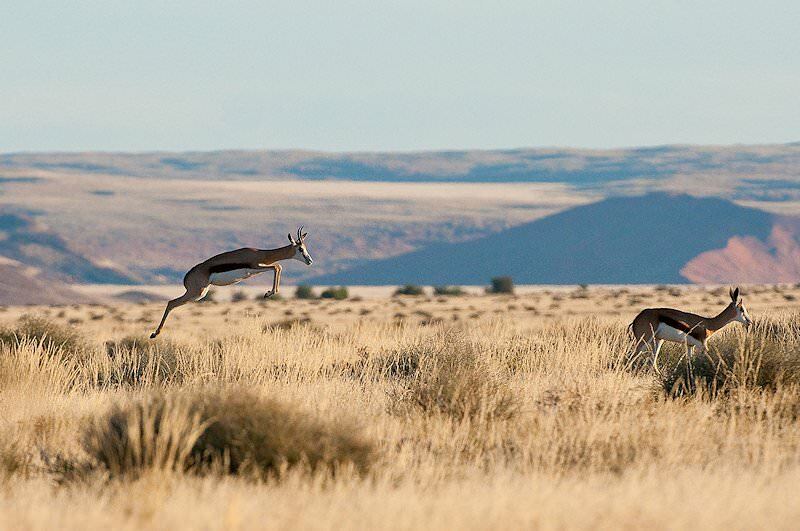 Despite the low rainfall, quite a diversity of animals have adapted to desert life. At an extra cost, guests may enhance their safari experience by booking an early morning balloon ride to view the desert from the sky. This is an amazing experience, drifting silently across the dunes at first light. At the landing site, a special champagne breakfast is served. From OR Tambo International Airport in Johannesburg, guests to Kulala Desert Lodge will be flown to Windhoek and then transferred to Kulala Wilderness Reserve for their safari. Have your breath taken away by morning game drives in the deep red of the Sossusvlei dunes where the feeling of isolation eclipses all else. Late afternoon drives are colored by snacks and sundowners in the sweep of the desert. Night drives are a great way to encounter elusive desert creatures such as the delightful bat-eared fox. If the idea stirs you, trade the cozy interior of your tent for the rooftop and sleep under the lustrous expanse of the stars. Additionally, take a walk to the enchantingly exotic landscape of Dead Vlei or survey the tremendous scenery from a morning balloon safari, crowned with a lovely champagne breakfast at the end of the trip. 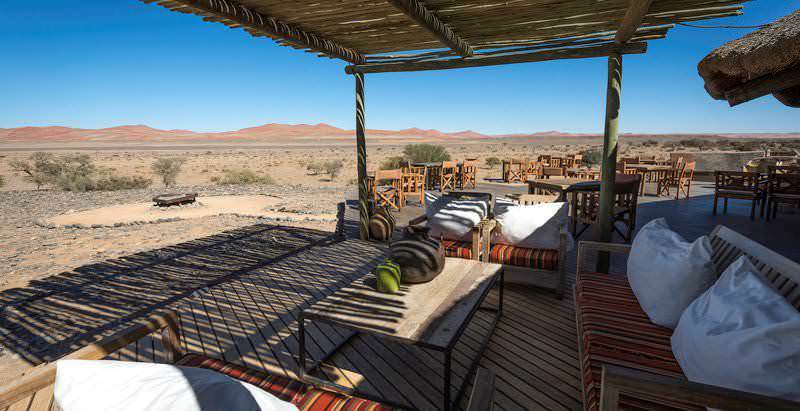 This safari package plucks you from the roar of the city and lets you lose yourself in the devastating beauty of Sossusvlei. 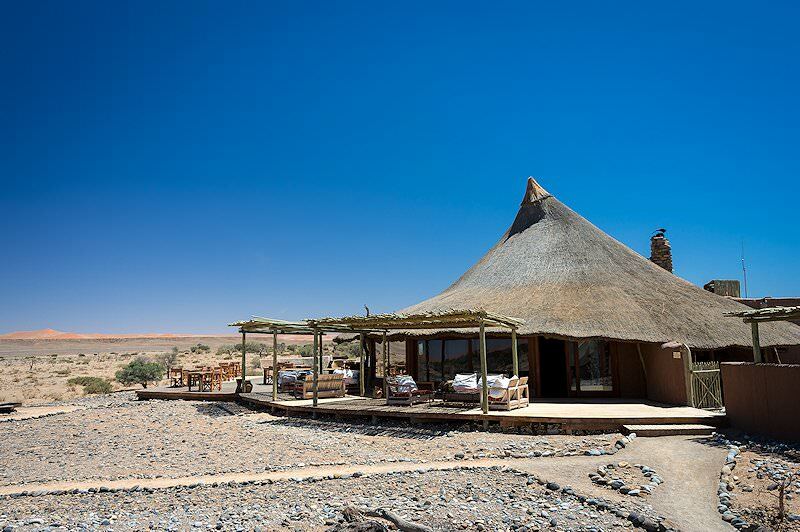 Guests can experience one of the finest lodges near Sossusvlei in Namibia when enjoying a luxury safari at Kulala Desert Lodge. 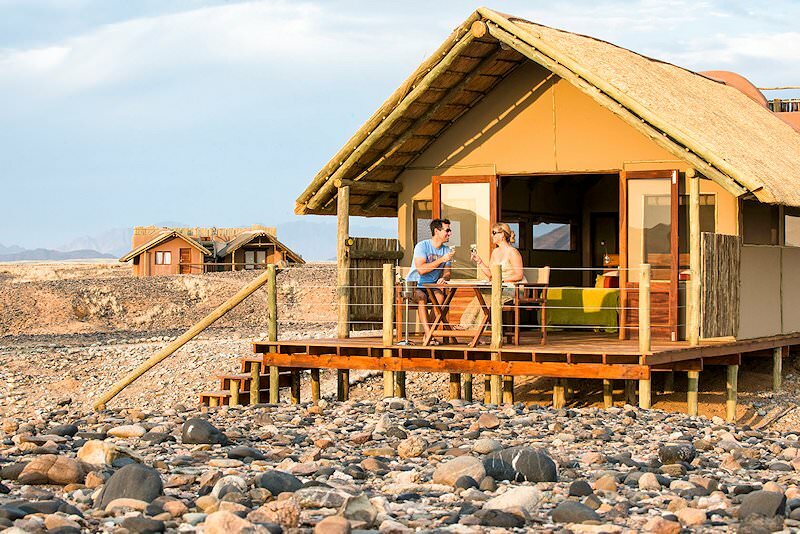 A desert safari does not appeal to everyone, but for those really seeking to get away from it all, who wish to enjoy the vastness and isolation of southern Namibia, there are few finer settings and experiences. Southern Namibia is one of my favorite places and I would recommend a safari there to anyone who has realistic expectations and who is aware that you will not see animals in great numbers when enjoying a safari at Sossusvlei. South Africa is a great value for money destination, catering to a variety of budgets. Botswana is an exceptional safari destination, replete with wildlife. 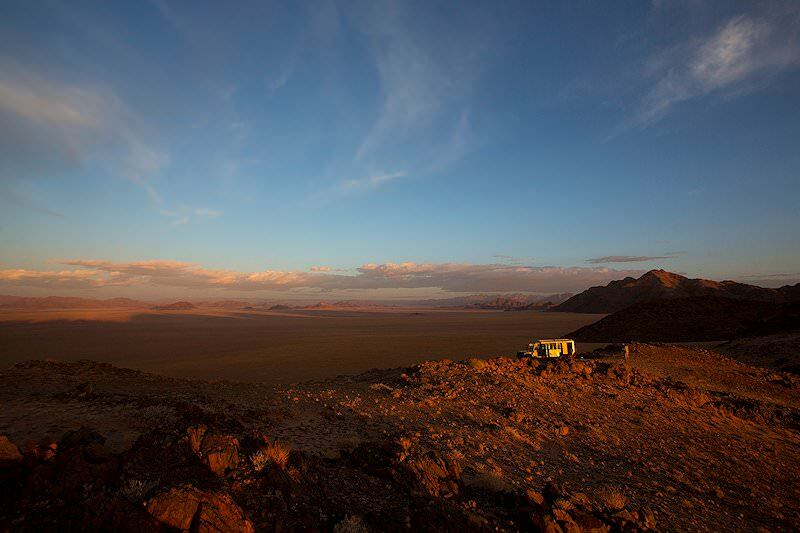 Namibia safaris are characterized by thrilling desert-oriented activities. Zambia's national parks are remote and barely touched, offering rewarding safaris. The Kruger National Park boasts an extraordinary 147 different species of mammals, offering remarkable diversity. Our luxury safaris include sought-after wilderness areas like Botswana's Okavango Delta and South Africa's Sabi Sand. Many of South Africa's national parks and game reserves host great numbers of the full Big Five contingent, particularly the Kruger Park. 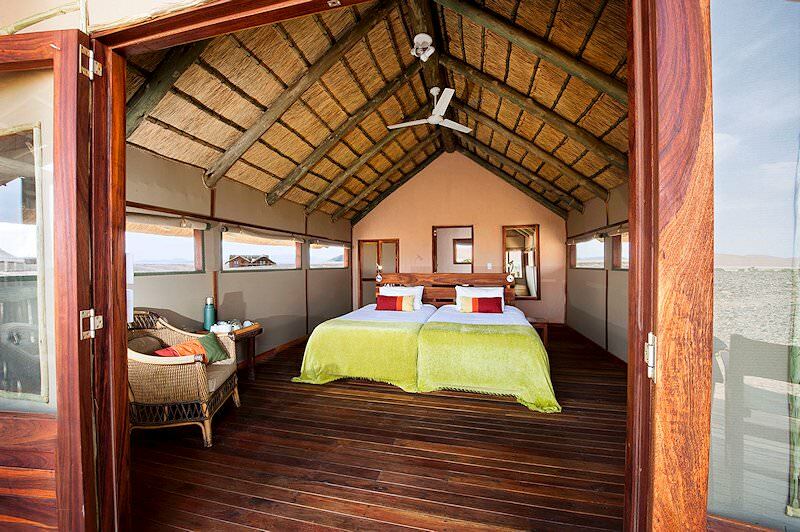 The African lodges that we include in our itineraries range from eco-friendly tented camps to plush private bush villas.